Our Handmade All White Birch Toothpicks Last for Hours and Freshen Breath Immediately. Our PopUp Retail Display Can be Used to Generate Sales For Any Business. You Set The Price of Each Tube For Sale. 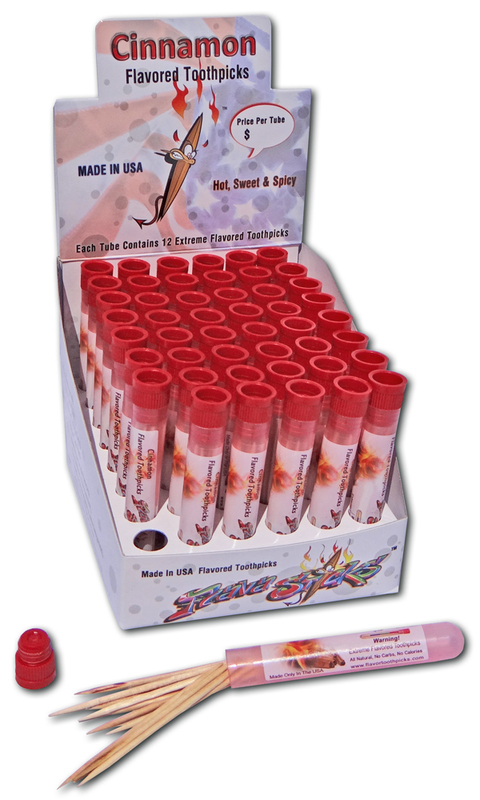 Each order contains 48 tubes of cinnamon flavored toothpicks in a plastic reusable air tight tube. 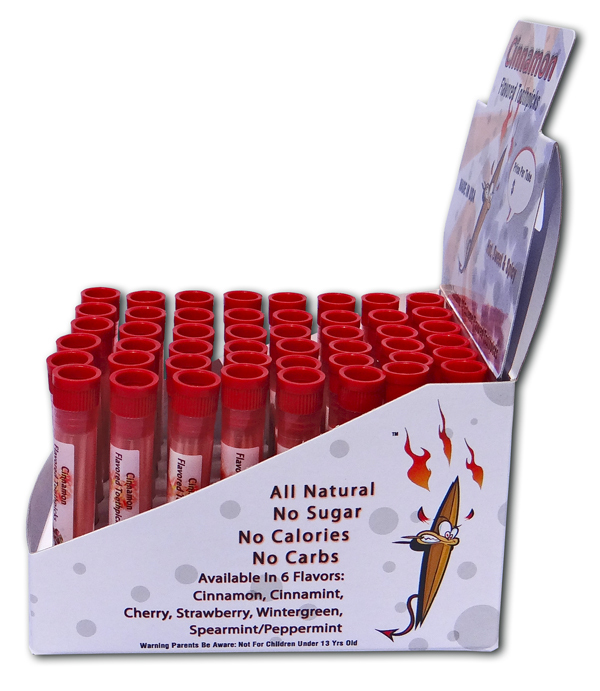 Cinnamon toothpicks 48 pack for sales in retail or business.